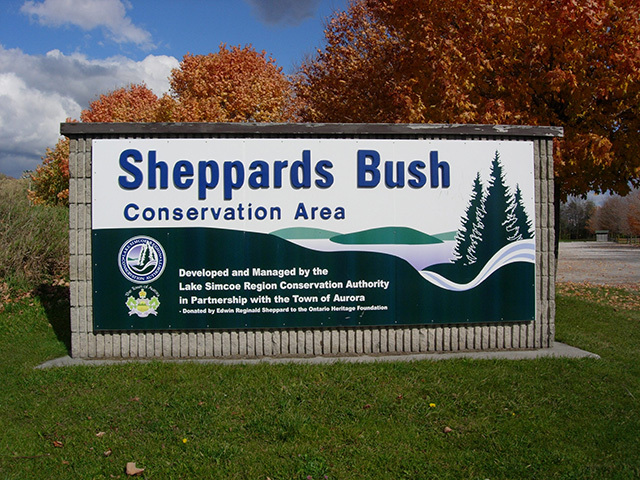 Sheppard’s Bush Conservation Area is 26 hectares (65 acres) in size, and has over three kilometres of hiking trails, thirteen soccer fields, two picnic pavillions and several historic buildings including a maple syrup evaporator hut and the Sheppard family house. 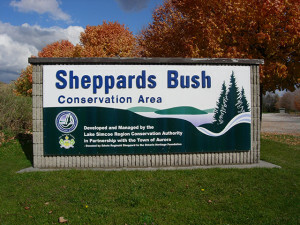 The main entrance is at the end of Industry Street, in Aurora. There is also an entrance to the playing fields off of Industrial Parkway South.